Most people have goals in life. Whether they be small ones, such as eating healthier and exercising more, or large ones like buying a home or starting a business. We all know that sometimes we need to start acting today to realise our goals in the future, however sometimes it can be hard to know what action to take. Our goals can seem too far away to matter, or too overwhelming to think about. It is in these situations that it is most important to plan ahead and know which milestones you need to reach along the way. Having a plan means understanding how you can contribute to your future goals, through the things you do today. 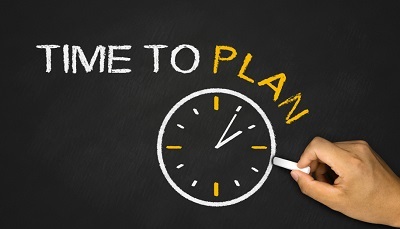 When it comes to money, planning could be something small, like putting together a budget and tracking your expenses, or something big, like creating a retirement plan for the long-term or doing a comprehensive insurance review. Instead of making a decision based on emotions at the time of such an event, your adviser can help you make a choice based on an unbiased view, while bringing relevant knowledge and expertise to help you think clearly so that the decisions you make are rational and well-considered. Having a plan in place helps to create a sustainable financial resource so that before, during and after the event, the needs of you and your family continue to be met. Whether assisting you to meet small day-to-day goals through to handling emotional life changes, purchases of large assets, or assisting your family with their needs over time, financial planning is a step you can take today to alleviate the stress for your future self.